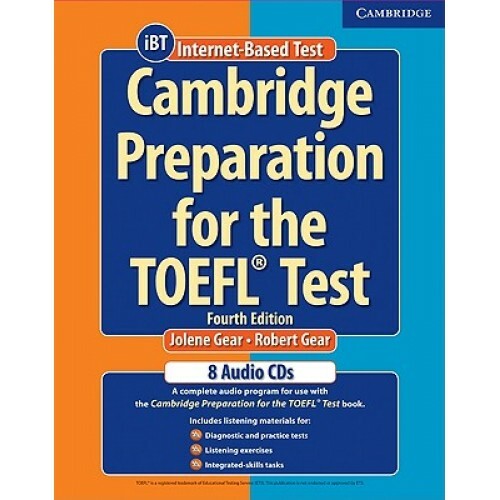 The Cambridge Preparation for the TOEFL Test, Fourth Edition, helps students master the language skills they need to succeed on the TOEFL iBT and communicate effectively in an academic setting. 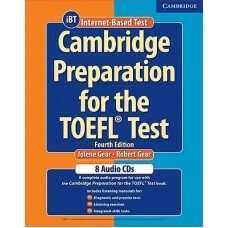 This set of audio CDs contains the complete audio program for the exercises and practice tests in the book. The audio program includes conversations, academic lectures, and listening material for listening, speaking, and pronunciation exercises. Лучшая практика - гарантия успеха на экзамене Toefl IBT: Семь практических тестов нового формат.. This set of ten audio compact discs is designed for use with Barron’s How to Prepare for the TO.. The Longman Preparation Course for the TOEFL® Test: iBT, Second Edition, by Deborah Philli..